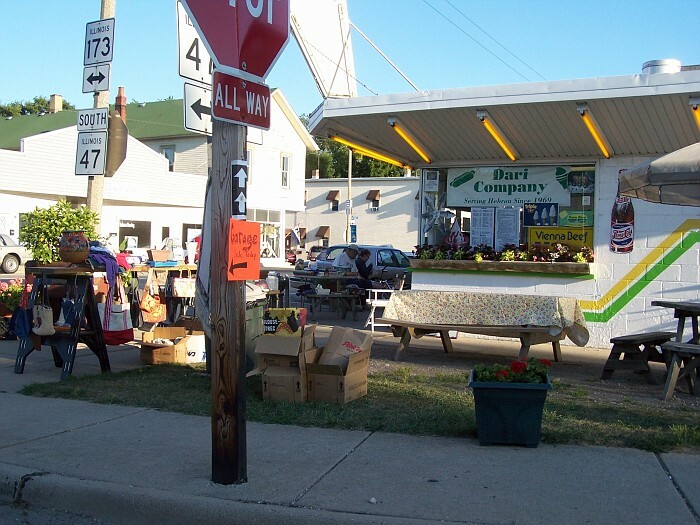 The honor of being the first settler in this township belongs to E. W. Brigham, who made his original claim in 1836, and built the first house in the township, constructing it of poles. He was a native of Vermont, as was Josiah H. Giddings, the second settler, who erected the first frame house, and long continued to occupy it, although he later added to its original proportions. Bela H. Tryon was the third settler, coming here in 1836, and residing here until his death in 1848. He was from New York state, as were other very early settlers: Robert Wright Stewart, A. H. Parker, and John Sawyer. G. W. Giddings and C. S. and John Adams were among the new settlers that also arrived in 1836. 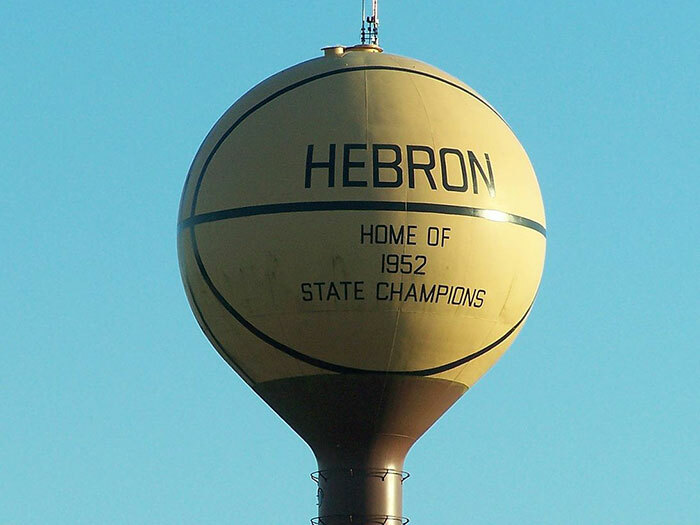 The story surrounding the naming of Hebron Township was a bit unusual for those times. The first white woman to live in Hebron Township was Mrs. Harriet Tryon, and her home became the gathering place for lonely pioneers who came from far and near to her for motherly advice, and help in their affairs. It was the custom for them to engage in singing during the Sunday afternoons and evenings, and upon one occasion after they had finished singing Old Hebron, she suggested that Hebron would be a good name for the new township. Her selection was approved and the name adopted. On the Sunday following the adoption, the settlers gathered at her home, and to prove her pleasure, she fried a bushel of cakes for them, all of which were eagerly consumed by the hungry men, tired of their own efforts at culinary operations. 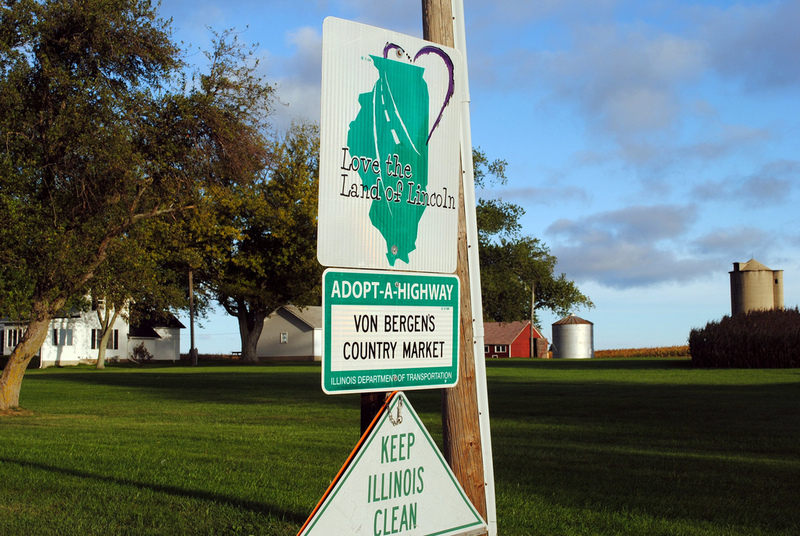 This is the only instance in MeHenry County of the name being given by a woman to a township division. 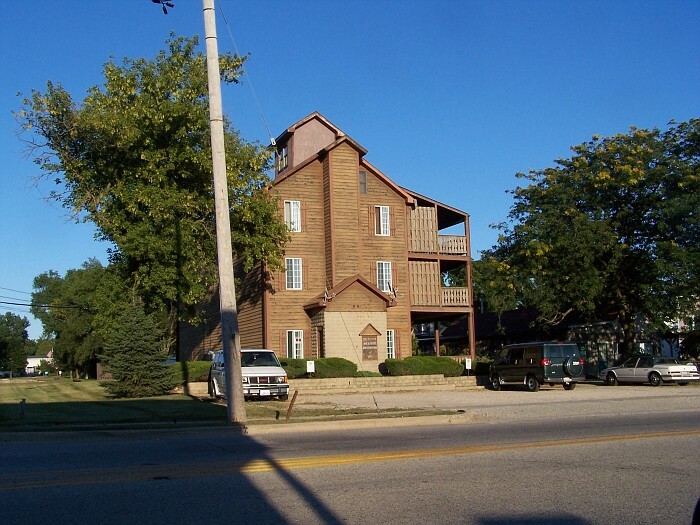 Hebron Village was situated in Hebron Township, in sections 16 and 17, township 46, range 7, east. The Village was on the line of the Chicago & Northwestern Railroad running from Rockford to Kenosha, and had a population of more than 700. At first Hebron was named Mead Station from the fact that Henry W. Mead had been appointed depot agent at this point when the road first went through. 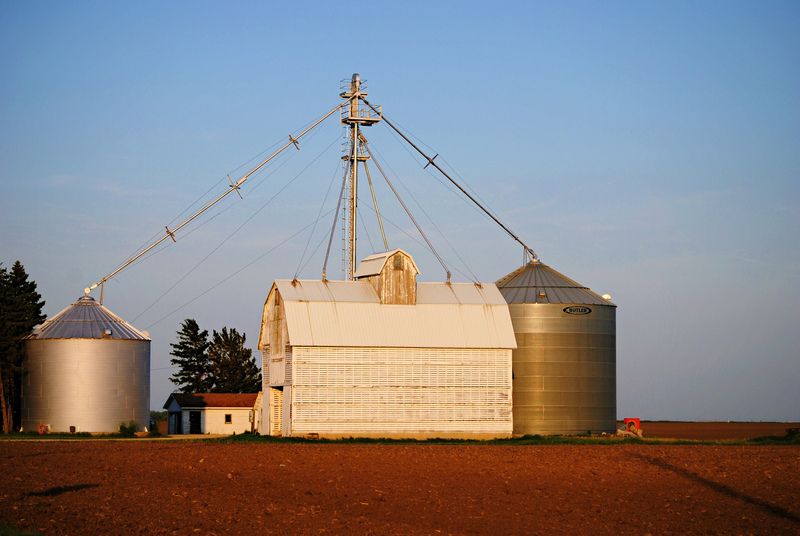 The place was platted on the Mead lands, they having been the first settlers to locate here. 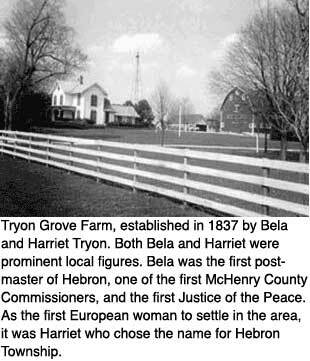 Prior to the building of the railroad the township of Hebron had two country post offices, one of which was situated at the house of Bela H. Tryon, who was the postmaster, the date of establishment being 1839. 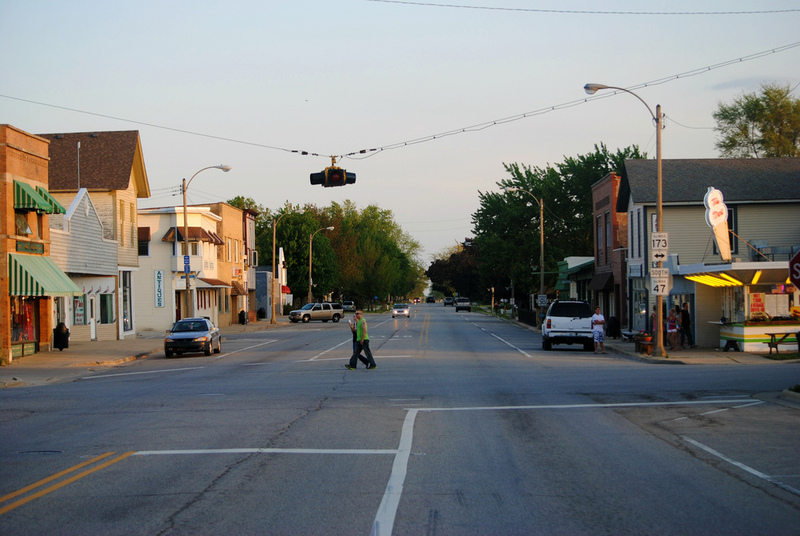 Mail was brought from Chicago and thence to Jaynesville, Wis. The mail was carried on horseback. Another office was established in 1842 in the west part of the township, and kept at John Adam's place, he being postmaster. After Dr. Giddings built this house, the post office was moved to his home and even after the post office was moved to the Goodsell store in 1861, it still went under the name of Giddings and all business of the government was done through his name. At that early time there was no envelopes, although they were soon adopted, but at that time one simply folded their letter and placed some sealing wax on the fold to hold it securely. The postage was five cents. In 1853 the only persons in Hebron Township owning a buggy with steel springs were Bela Tryon and Colonel Ehle. In the year 1855 the first schoolhouse was built. The building eventually became occupied by the Hebron bakery. In the year 1855 there was no road leading either north or south, all travel being done in an easterly and westerly direction. The cemetery in Hebron was laid out in 1860. 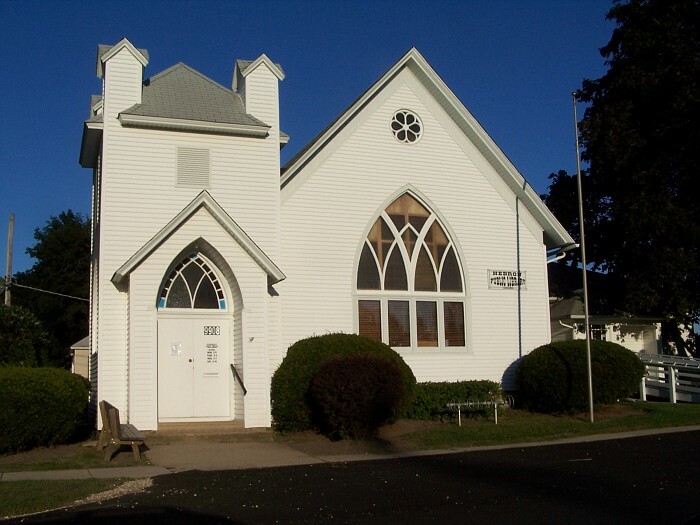 The Methodist Church was built in the year 1861 and dedicated in the year 1862. In the year 1867 the Linn-Hebron Church was built. The Baptist Church was built in 1876. The Presbyterian Church was built in 1877. The German Lutheran Church was constructed in 1900. In the 1860's and early 1870's cheese factories sprung up here and there all over this county, including those in and near the village of Hebron. The leading ones were those of H. W. Mead, George Conn, Robert Stewart, a Mr. Perrin and a Mr. McGraw. 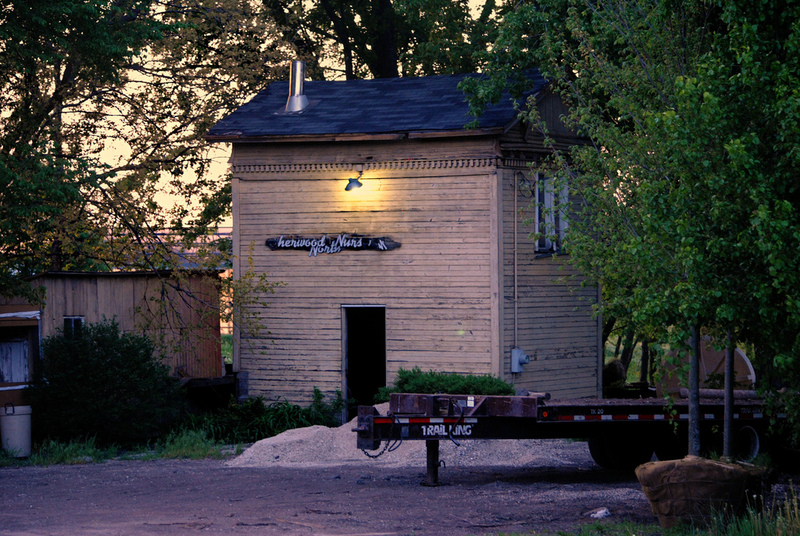 The railroad finished in 1861 became instrumental in delivering fresh cheeses and bakery items to other Towns and Cities along the railway line. 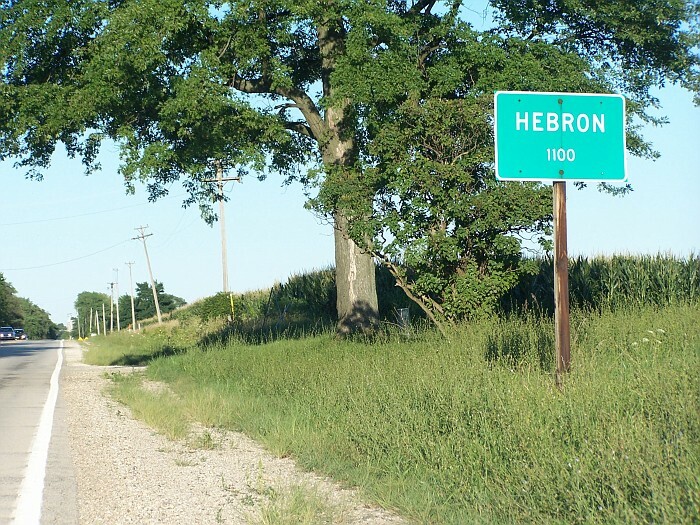 Hebron was not incorporated as a village until October 21, 1895. In the month of June, 1906, a system of waterworks was been installed and bonds were sold to pay for the new water system.